PDF Lukes Like Art, aka Painter, has his second foal crop on the ground this year! And, his babies look great! He has amassed an impressive show record at the ripe young age of 6 as the Honor Roll Champion in Green Working Hunter, Sixth in the nation in Open Working Hunter and over 160 APHA Performance Points in four events. Last year he started showing in Western Pleasure and Trail (already has his ROM in Green Trail!) and shows great promise of becoming an All Around Contender. 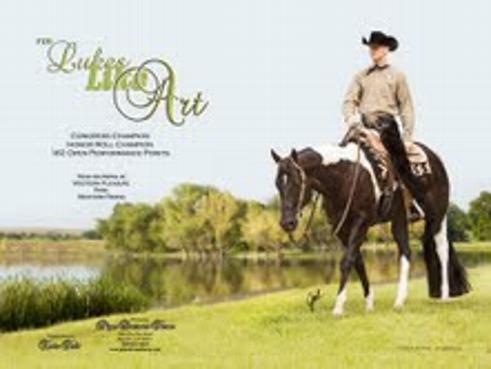 Painter is by the Equistat Leading Sire Luke at Me (AQHA) and out of a homozygous daughter of Impressive Art (see accompishments of our senior stallion). Impressive Art, aka Arthur, has one of the most impressive show records in the state. He has over 800 APHA points in 8 different events including multiple titles; World Champion Trail; National Honor Roll Champion Trail, Hunter Hack, and Western Pleasure, Top Twenty. Most recently Arthur is siring performers with his awesome lope and incredibile learing abilities. In 2012 Arthur became a WORLD CHAMPION SIRE! MAYBE TOMARNO BECAME THE WORLD CHAMPION NOVICE AMATURE ALL AROUND HORSE! This handsome gelding is by Impressive Art and out of Sirtianly a Plus one or Arthur's first foal crops. Some you may have seen are CHPC SSA WP Champion PDF BeyLee, APHA Champion PDF Art I Zippen Now, APHA Champion Mistress of the Art, Reichert Champion PDF Top Talent, IL State Champion All Around PDF Lexis, PDF Art I Sweet, PDF Back in Black and others you can check out in the "Our Stars" section of this web site. Training & Lessons: We have several experienced trainers at Pipe Dreams Farm both offering training and riding lessons to equestrians of all ages. Eric Felt has joined our Dream Team and has worked under the direction of AQHA Super Trainers Mary Jo Pickard, Michael Hoyt and others. He has a unique talent for training young horses give all they can. Eric's first year here helped to earn PDF BeyLee over $6,000 in futurity winnings and a new show home; PDF Lukes Like Art earn his ROM in Green Trail; and PDF Indian Art earned his ROM in Green HUS. We are looking forward to the major open and APHA shows in 2012. Also training and providing riding lessons, is Ingrid Cortopassi whose philosophy is multidisciplinary and based on years of training with top dressage, jumper and three day eventers. She has extensive experience teaching both children and adults. Call us to schedule an evaluation and a program to meet your specific goals. Here at PDF we offer individualized boarding services for the individual horse and owner. Your horse will be cared for right along side of our horses whether they be show horses, trail horses, or breeding horses. We realize that each individual has special needs and we strive to keep all of our clients happy. We offer horses not only clean spacious stalls with the right feeding program but the opportunity to be turned out into large green irrigated paddocks daily - to have the opportunity to "just be a horse". Check our our boarding services! More About Us: Nestled between rice fields and walnut orchards you will find a beautiful collection of Thorobred, quarter horse, and paint mares in large green fields frolicking with their tobiano babies. Owning a ranch with beautiful show quality horses has been a life long pipe dream of owner Susan Wilcox, hence the name “Pipe Dreams Farm”. Susan has been showing horses since high school and is finally reaching her dreams. 2011 has been great so far with Painter transitioning from an English Horse to a Western Horse; PDF Indian Art (our 16.3 colt by Indian Artifacts out of an Impressive Art daughter) went to his first show and got 8 points in the Green and Jr. HUS classes; and PDF Bey Lee won the prestigious CPHC SSA Futurity! 2010 has been another great year with PDF Rhonda Roan and PDF BeyLee in the money for the Lunge Line Futurities and Painter getting back in the show pen with wins in Working Hunter, Hunter Hack, and Hunter Under Saddle. PDF Chime brought home some futurity money in Two Year Old Westnern Pleasure at both the Brookside and the Bakersfield shows! 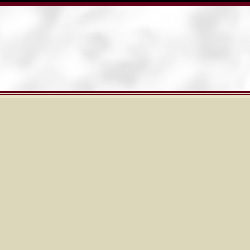 2009 was a tough year for everyone. While Painter was second highest scoring All Around horse at the Tuscon show at the first of the year and did extremely well at the Denver Stock Show, we did not get out as much as we would have liked this year. However, PDF Top Talent (By Impressive Art) was a star at the Reichert Celebration winning with an Amature Rider - another testimate that anyone can ride and train these horses! 2008 saw many of our horses out in the show pens around the country with Artfully Designed topping the list as the number one PAC Horse in the Nation! PDF Shelby was a star in the Two Year Old Western Pleasure Futurities and, of course, PDF Lukes Like Art was a top contender in the Hunter pens around the country - see his individual record under "Our Stallions". 2007 has continued with PDF Lexis leading the state of Indiana in performance classes, Art I Impressed became a APtHA World Champion in Hunter Under Saddle and Top Ten in Western Pleasure, and PDF Top Talent won the Non-Pro Western Pleasure and Non-Pro Horsemanship at the prestigious Reichert Futurities. We have high hopes for the 2007 Fall Futurities in Rancho Murrieta and Bakersfield for PDF Shelby in the Longe Line, PDF Just Bobbin Along in the Two Year Old Western Pleasure, and PDF Art I Sweet in the Two Year Old Hunter Under Saddle. 2005 was a great year with two sons of Impressive Art receiving TOP TEN Awards at the American Pinto Horse Association World Championship show. The Art Attack was 8th in 11 & Under Hunt Seat Equitation; 9th Senior Tobiano Stock Type at Halter; 7th 11 & Under Stock Seat Equitation; 10th Walk Jog WP Novice 18 & Under. Additionally, Arfully Zipped was 8th HUS Stock Type; 8th HUS Stallions Geldings all types; 8th HUS Disciplined Rail; Finalist Ideal Pinto HUS; Finalist WP Stallions/Geldings All Ages; and a Finalist WP Junior Horse. In 1998, “Art” went on to become the State Champion and National Honor Roll Champion Stallion Hunter Hack Horse, and again reached the “TOP TWENTY” list. In 1999 “Art” was World Champion Senior Western Pleasure Horse (11th), Top Ten at the World Show in Jumping. Impressive Art’s foals are now becoming very competitive in the show ring with Youth and Amateur riders. His younger get are continuing to win at major West Coast futurities including the Triple Crown, Sierra Paint Horse Club Breeders Classic, CPHC Breeder's Challenge and bringing home big pay checks through the APHA Breeders Trust Program. Don't miss out - Get your own piece of Impressive Art! A few of the Stars by Impressive Art.